Promoting the Effectiveness of Democracy Protection Institutions in Southern Africa: The Ombudsman and the National Human Rights Commission of Mauritius, LA Darga, 2009. Consolidating Democratic Governance in the SADC Region: Mauritius, StraConsult, 2008. 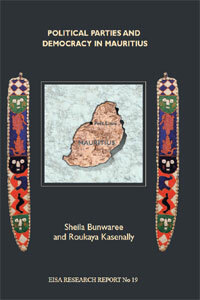 Political Parties and Democracy in Mauritius, S Bunwaree, R Kasenally, 2005.